Centre the weight of the boxes. Centre the weight of the van. Lower the centre of gravity of everything. These three similar yet different things are much easier to do while packing and preparing the furnishings. You just have to keep it in mind while doing everything else. The choice of the removal boxes is essential for the right centering of the weight. According to the type of the boxes – there are different ways for centering the weight. The small and tall heavy-duty cardboard boxes can fit chairs, dismantled cabinets and long shelves. A great tip is to put the heaviest items in the very center of the box and then to continue arranging everything else around the corners of the box. Thus, the heaviest spot will be in the center of the box and because it is a smaller and taller box – it can handle the weight. By contrast, if you use wider or larger boxes instead of taller ones – then a better option is to put the heaviest objects near the corners of the box, where the bottom areas are much stiffer, than the center of the box. When loading furniture into the van put the heaviest boxes and objects in the center of the van too. Yet another great tip is to try to put the heaviest items on the very bottom of the boxes and respectively on the floor of the van. Use textile objects like curtains, pillows or even small rugs as padding. Fill all the empty spaces between the walls of the boxes and the furniture items or even put the fabric items inside the void areas of some whole pieces of furniture. One, the material will enhance the safety for furniture removals by changing into the perfect fillers and two – you will save space instead of using a special box only for these light textile materials. Another great space-saving tip is to load the back seats of the van when moving house with numerous soft furnishings. Safety is never enough when it comes to driving a long route, through turns, speed bumps, hills, etc. The vibrations in the cargo area of the van will expose your belongings for the first time to potential damaging effects that they would not experience during normal use. Because of that, protect your furnishings with edge protectors along wooden edges. Tighten the different pieces of dismantled furniture with ropes and secure with heavy-duty tape. Use plastic coverings to prevent water damage when moving on a rainy day. 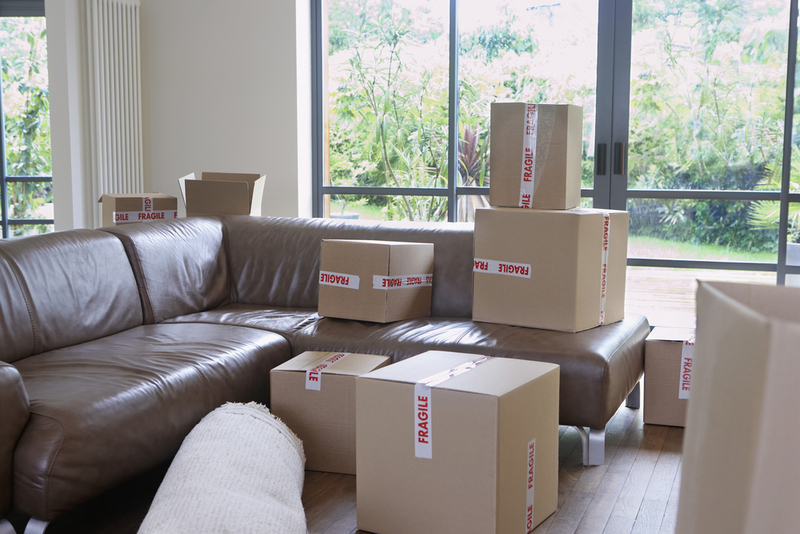 Bubble wrap is another key element to enhance safety for furniture removals. If your furniture just won`t fit in your normal car yet you are searching for a cheap relocation – then hire a van and do the move yourself. Take time to organize everything in a checklist, get started with dismantling and preparing the furniture as soon as possible and apply the space saving techniques to allow you to book as small a van as possible.